The Board of the International Raoul Wallenberg Foundation (IRWF) has decided to create a memorial plaque to pay tribute to the brave Armenian women and men who reached-out to the victims of the Holocaust. 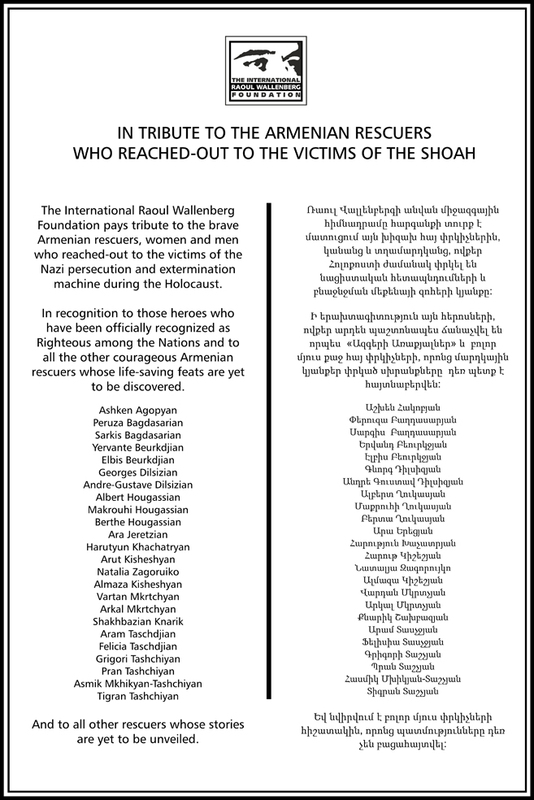 To date, 24 Armenians have been officially recognized as “Righteous among the Nations”, but many more stories are waiting to be revealed. Researchers from the IRWF are collecting and evaluating information regarding additional Armenian rescuers, whose feats have not been hitherto properly documented. 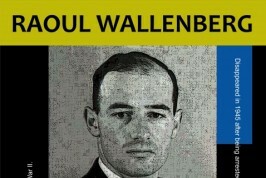 In a special statement, Mr. Eduardo Eurnekian, Chairman of the International Raoul Wallenberg Foundation has elaborated further: “Despite the small size of the Armenian nation, the share of Armenian rescuers is remarkable, exemplifying the spirit of solidarity of this ancient people. 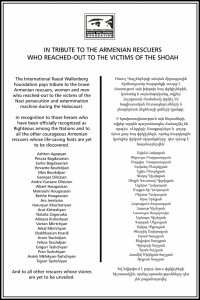 The Wallenberg Foundation is proud to have embarked in a two-pronged quest to unveil unknown cases of rescue protagonized by Armenians and paying tribute to those who have been recognized and those who are still awaiting recognition. The decision of the IRWF to create a specially designed Memorial Plaque is our way to recognize their courageous deeds and say thanks to these heroes”. The commemorative plaques will be affixed in major cities of the world. The Armenian Association of Tel Aviv-Jaffa, which headquarters are adjacent to the St. Nicholas Monastery will be the first house to host the commemorative plaque. The same will be unveiled in a special ceremony at a future date to be determine.